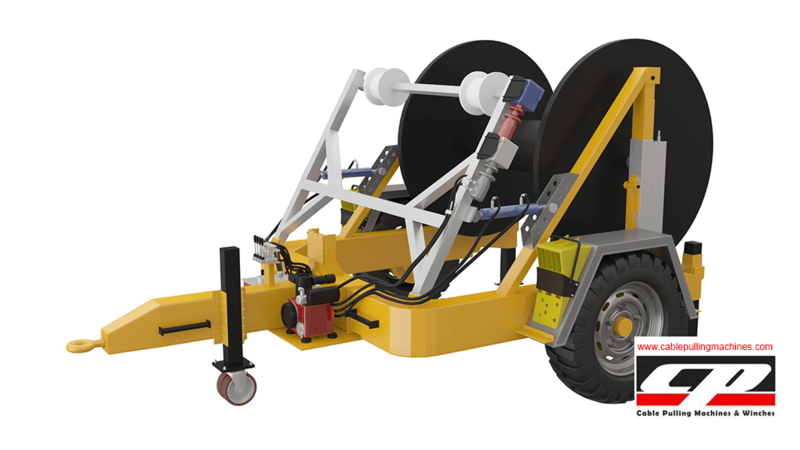 Full Hydraulic Cable Drum Trailers Suppliers. In this machine, you can lifting, lowering, winding your drums with the hydraulic system only handle a joystick easly. 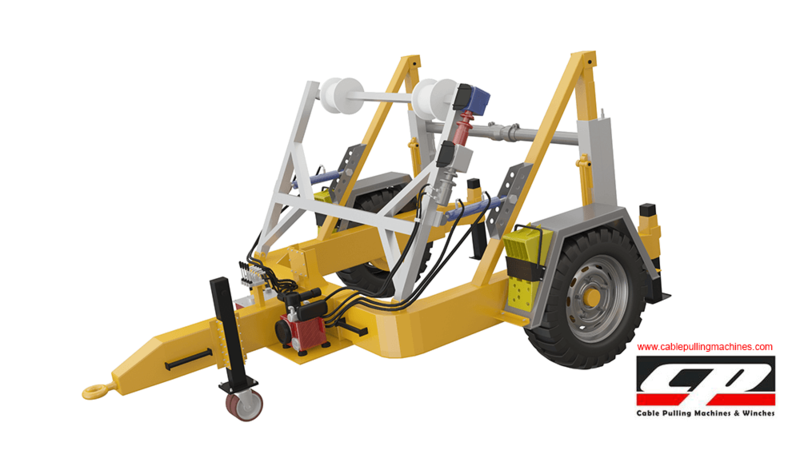 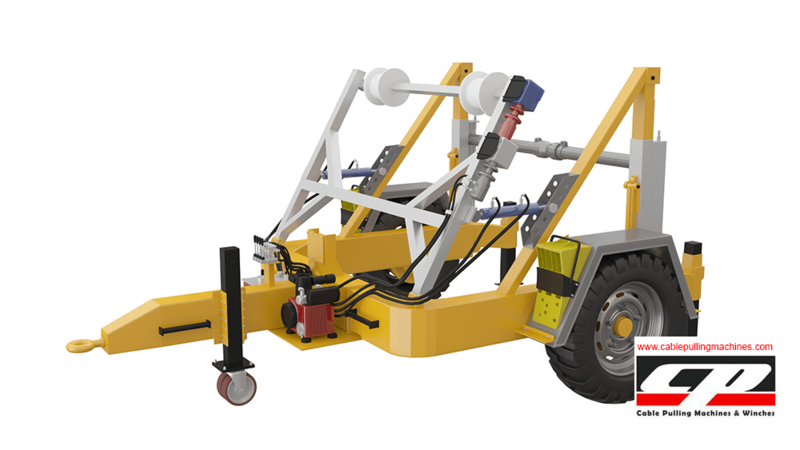 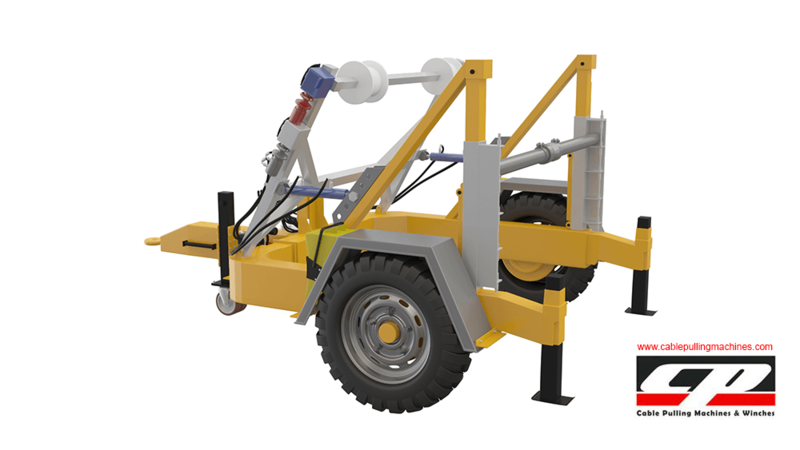 Also saves labor and staff force much more quickly controlled and offers the safety Pulling with full Hydraulic Cable Drum Trailers. 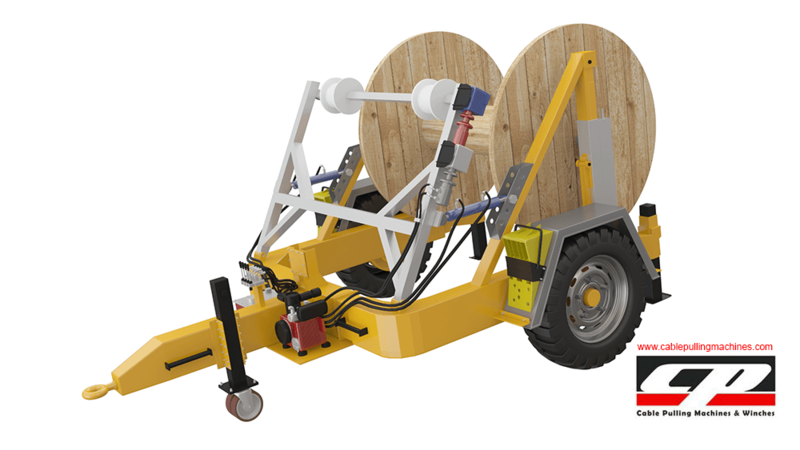 It can be move to easly to antwhere witht the any wehicle and you can use like cable drum stand for laying cables or pipes. 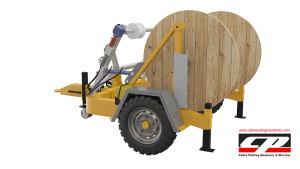 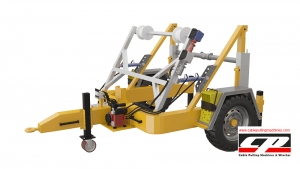 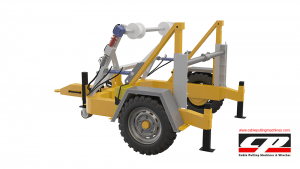 Full Hydraulic cable drum trailers automatically turn the drum so you don’t need to any extra staff. You need to only one operator for full hydraulic cable drum trailer. 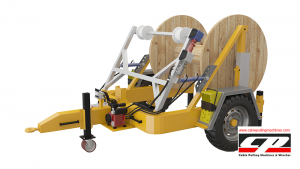 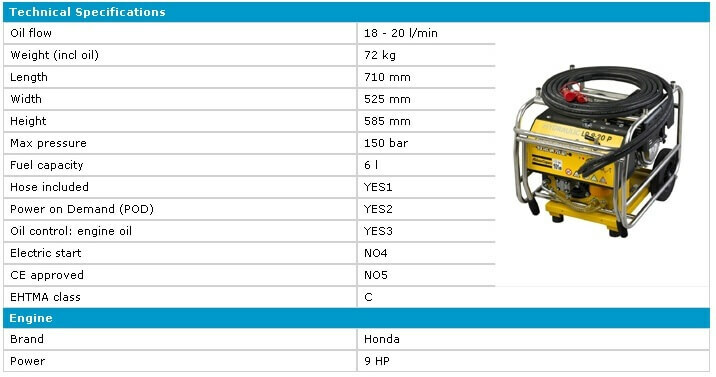 Hydraulic Cable Drum TRAILERS uses 9Hp Honda Hydraulic power Unit. Hydraulic cable drum trailers have been formulated in a way so that they can carry most favorable strength. 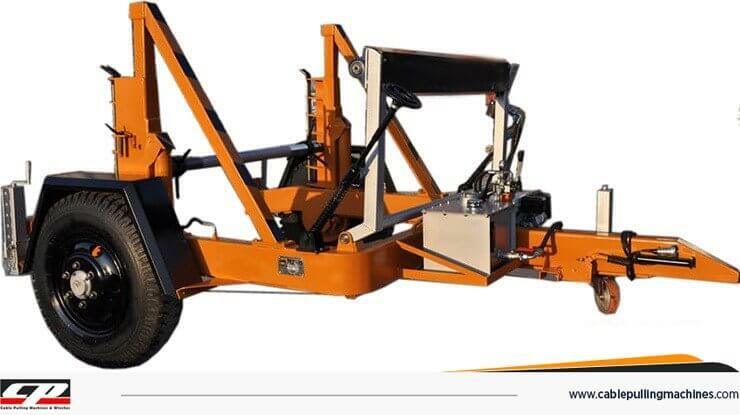 It is very effortless to install the trailer and it comprises of a long and durable life that can carry loads for a long time. 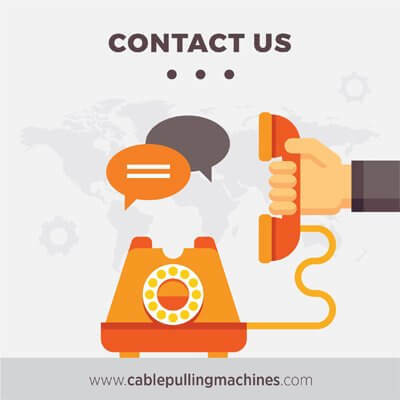 It has been highly in demand because of its outstanding performance as well as expediency and consistency.It has leaked pins that help in controlling the lifts in case of failure. 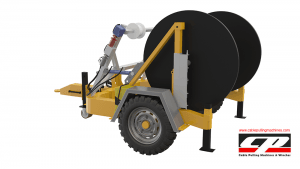 It also has a locking system that helps to hold the cable drums in place while in the action.A cable drum trailer manufacturer sees to it that each and every cable drum is manufactured in the best possible way so that there is no kind of mishap and all the work in conducted in a smooth and efficient manner.